Wurzel is a happy but mischievous little bear. That sweet 'butter wouldn't melt' look he gives you with those eyebrows at a tilt, you just know that he's been up to something. Well, either that or he just needs a cuddle. His favourite foods are toffee and fudge, and he loves the colour red, hence the red bow. He chose his own name too, and managed to get the Combine Harvester song by the Wurzels stuck in my head in the process (I told you he was mischievous 🙂 ). 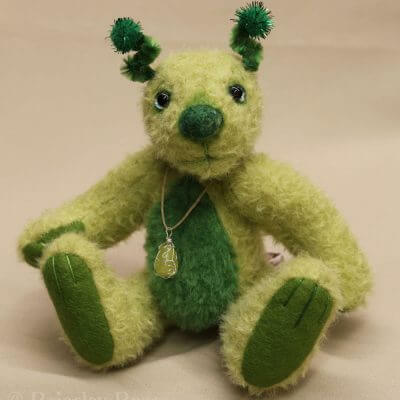 Wurzel is a one of a kind artist bear of my own design. Wurzel is approximately 8″ (20 cm) tall (measured standing). 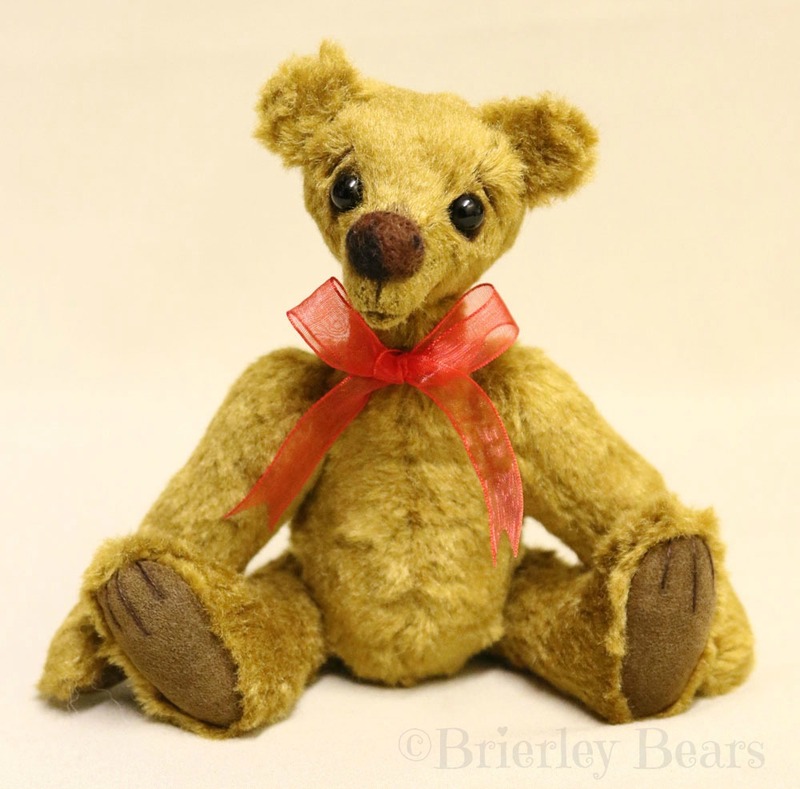 He is made from toffee coloured silk mohair and has brown ultra-suede paw pads with embroidered toes. Wurzel is five way cotter pin jointed. He is filled with heavy weight polyester fibre and has some stainless steel shot in his tummy for extra weight. 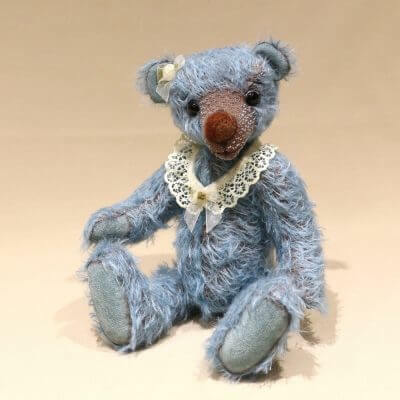 Wurzel has black glass eyes, embroidered eyebrows and a two-tone brown needle-felted nose. His face has been lightly hand shaded and he is wearing red organza bow around his neck. 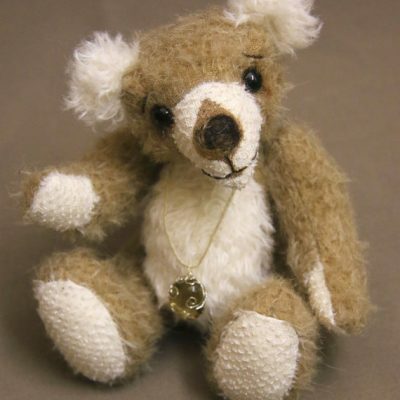 All bears come with a sewn in tag and their own personalised hang tag, signed for authenticity.